Web development is equally responsible for overall success of your particular business or website. You can say that if you have an attractive and impressive website but development is not up to the mark, then it will be all for nothing. 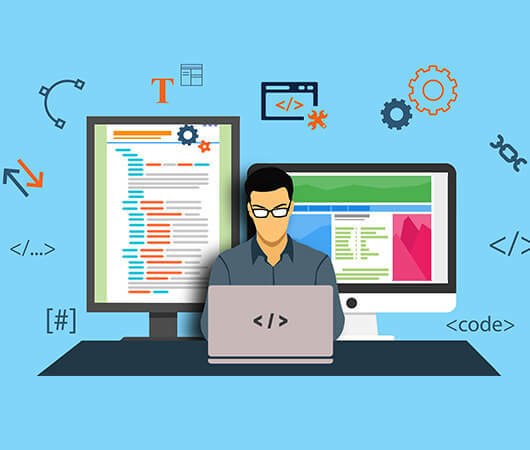 A good web development service is to create custom websites with cutting-edge technology which increases user engagement. A user can use it with an ease of use and in a hassle-free way. Even if you have the best-looking website with beautiful designs and you couldn't take care of development, the template doesn't work for your website. Interactivity and effectivity are most important for the web development. Users always want to be indulging in your business and your website. We Global IT is here to help you by providing best websites. Global IT web is a leading company providing web development, we just want to get know your brand, understand your requirement s and determine a timeline and project plan tailored to your business. We have an office in both India and Australia and have best skilled and knowledgeable team and resource & tools. We provide help in the running project and accomplish your project as per your requirement. We worked with cutting edge technologies like Wordpress, Joomla, Magento, Drupal, and Wix, and make the most out of each CMS for your benefit. We complete our project in the timeline, it is cost effective too. Our team of experts research analyses and craft recommendations that will help us to accomplish your business goals. Our talented team of developers is passionate about to create a high-end web for mobile, tablet & desktop. We focus on functional, yet attractive and impressive design throughout the entire and effective website development process. Our experts use advanced internet enabled software and technology for converting simple designs to powerful applications. Our professionals are highly experienced, and worked with companies in India and also different nations. To expand your business is the only goal of ours. We are always looking for new projects and opportunity, and always want to hear your inquiry. Our consultants reply as soon as possible after you fill the inquiry form to connect with us. Inform us your requirements, ideas, and brand, we will provide exactly you want. We have outlets all over India, including Ahmedabad, Bangalore, Delhi, Surat, Baroda, Mumbai, Pune, and Rajkot.